The Florida legislature has voted to remain on Daylight Saving Time year-round. It is not clear if it will be signed by Gov. Rick Scott. U.S. Congress would also need to approve. NBC 6's Steve Litz reports. 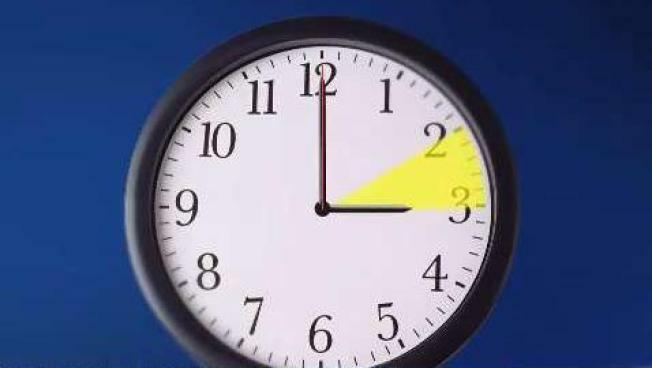 A bill to let Florida remain on daylight saving time year round is headed to Gov. Rick Scott's desk after the State Senate approved it on Tuesday, and while some are opposed to the change, experts say it could come with some advantages. Daylight saving time strikes the clock this weekend, but the Florida State Legislature recently voted to keep the clocks on it all year round. Florida International University finance professor Deanne Butcher said the change could be good in some ways, pointing to the week after the time change, when many people are thrown into a state of discombobulation in trying to catch up with that hour, regardless of whether it was lost or gained. "The main advantages I see is not having to change that clock twice a year," Butcher said. "Eating at a particular time, sleeping at a particular time, doing menial tasks at a particular time...gets thrown off and it takes time, and empirical studies have proven that this is exactly the case." The measure is called the Sunshine Protection Act. It says the Sunshine State should be kept sunny year-round. But one of the downsides, some say, is related to school. Students would have to start class when it’s dark and catch the school bus when it’s even darker. Without switching to standard time those conditions wouldn’t change much. "If you look at the history of switching the clocks back and forth the reason is that it was instituted was in World War I to conserve fuel, well obviously we don’t have those issues anymore," State Senator Greg Steube said. Another disadvantage is that Florida gets off the same time track as big East Coast cities like New York, Boston and Philadelphia. The advantages have been touted for years. More daylight means more time outside after work and school to exercise, socialize or, here in Florida, to get in or on the water. Hawaii and most of Arizona do not observe daylight saving time, and now Florida would like to join their ranks. The bill is ready for the governor's signature. But if he approves, Congress has the final say, since federal laws need to be amended in order to permit the change.